For years I had a bootleg of this toy, and I was just not into it. So much so, that it really killed my desire to own the original. Well, I finally picked him up for a good deal, and I'm glad I did. 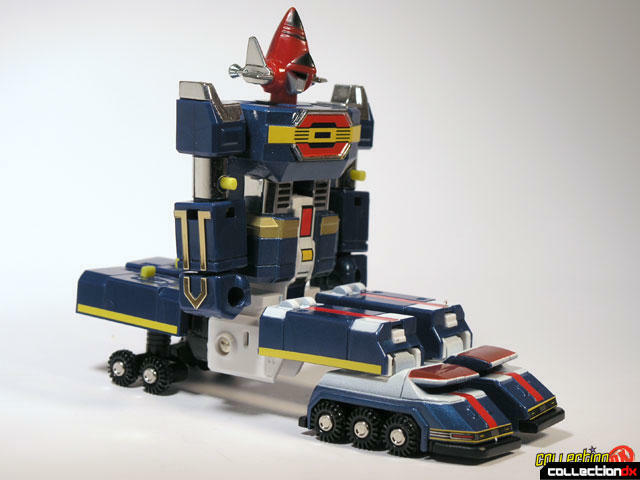 Although not as cool as his DX brother, the ST dynaman is a very well done toy in its own right. 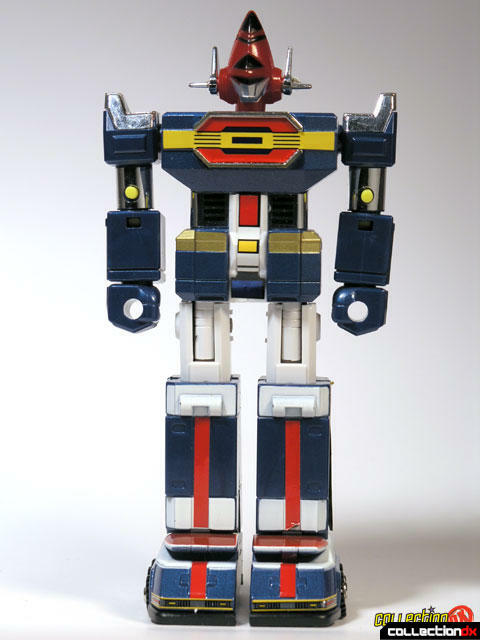 This particular version of the toy is from the Godaikin series. 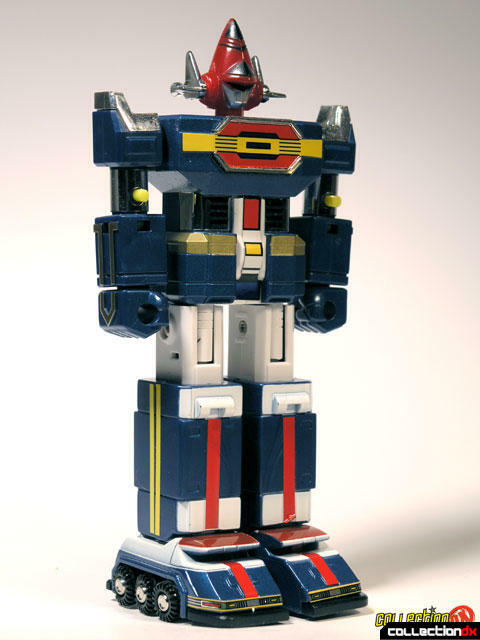 Godaikin was the brand name of a line of imported Bandai and Popy toys. 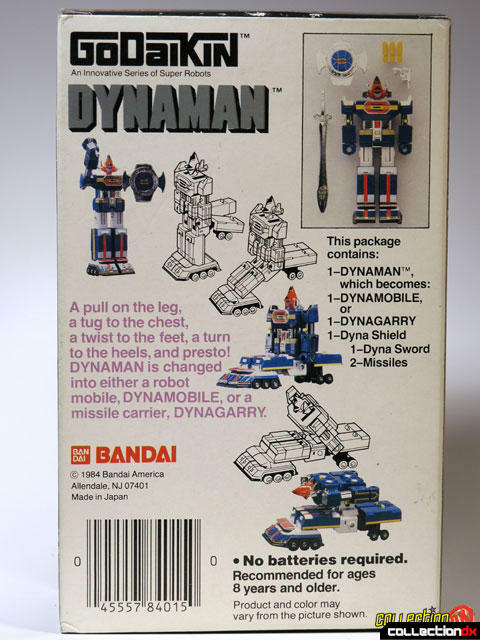 The toys, in most cases, were the exact same toy as their Japanese counterpart, except for the packaging. 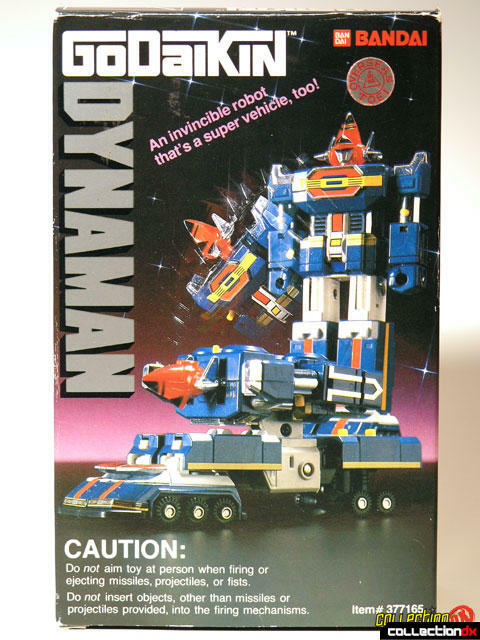 The ST Dynaman had the number GB-97 in the Popy chogokin line. The ST Dynaman is about 6 inches tall, and made out of metal and plastic. 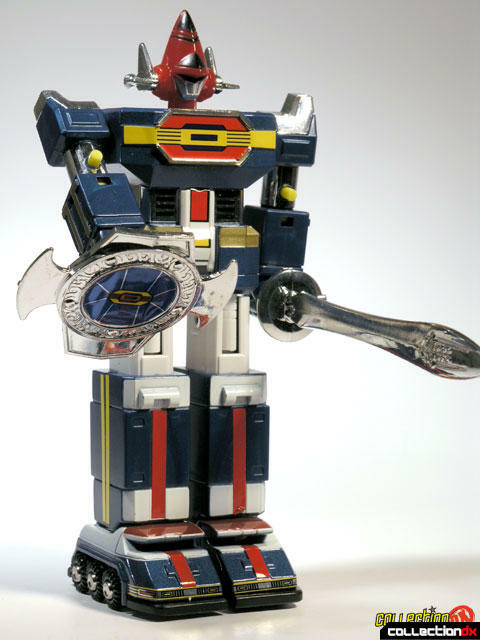 In robot mode, it features firing fists (which can be put in two positions), a firing head, a sword and a sheild. Not much articulation to speak of, just the shoulders and head. 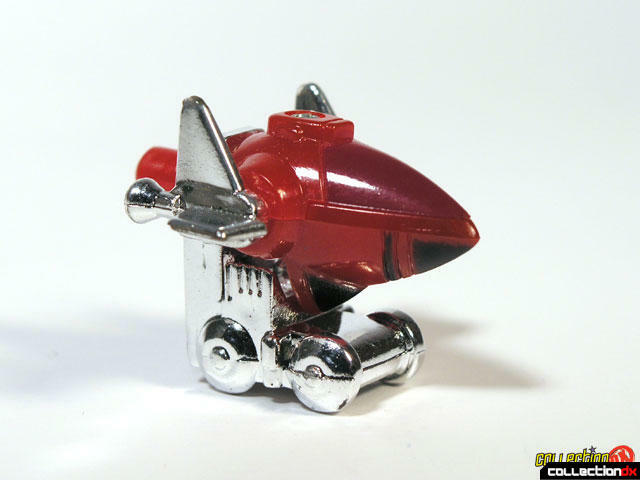 The box states that the toy can change from robot to super vehicle. There are actually 2 vehicle modes - Dynamobile and Dynagarry (garry being a common Japanese term to reference a truck. I think it is because of its similiarity to the word "carry"). 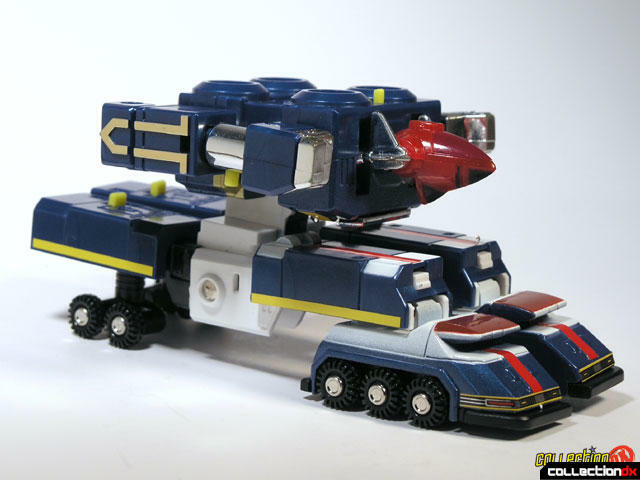 the only difference between the two modes is how you have the body positioned in truck mode. Kind of lame, but what can you do. The individual components do not separate like the DX does, although the ST comes with a small stand for the head, known as the Dyna Mach. I was taken back with how difficult the transformation is. If your toy is new, you will be amazed as to how tight the leg joint is. You have to pull it all the way apart, then pull the lower leg halves apart. You have to pull this thing so hard, you feel as though you are going to break it. It can be a really harrowing experience. Once that's over though, the rest is easy. A button pops out the rear wheels and you are good to go. A great toy, worth getting for sure.